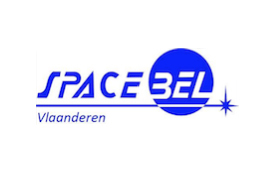 Established since 1988, Spacebel is a Belgian Space systems and software engineering company that has grown in the Space market to become a trusted developer of advanced IT solutions and a provider of related IT services. Today, Spacebel is in the international mix of small satellite system suppliers. The company operates in the Space and Earth monitoring applications sectors, serving space agencies, government departments, major aerospace companies, European institutions as well as the commercial market. We are active in several domains, mainly Earth observation, Space flight, and science, but also telecoms, navigation, exploration, launchers, balloons and space situational awareness. Our skills range from mission definition and analysis of Earth observation minisatellites, over the design, development, integration, validation of IT systems for the space industry to geospatial information systems. We deliver Earth observation spacecraft and provide complete Earth Observation solutions, including user requirements and system definition. Such a solution gives governments the opportunity to independently manage their territorial information. We also deliver on board control and data handling software, simulation, control and mission centers as well as EO services provisioning infrastructures. So far, we have contributed to the success of more than 40 Space missions aimed at better understanding the Universe and the Earth. Finally, we offer Earth observation services for forestry, water, industrial risks, atmosphere, mine exploitation and natural resources management and contribute to help decision makers world-wide in protecting and improving people’s life sphere.